The Santa Claus Christmas Blog is back for the Holidays! Ho! Ho! Ho! The Santa Claus Christmas Blog is back! It’s time for the Santa Claus Christmas Blog! Ho! Ho! Ho! It’s beginning to smell a lot like Christmas! So, MERRY CHRISTMAS my friends! I am so glad you found my Santa Claus Christmas blog! My name is, well, Santa Claus. Maybe you’ve heard of me? I am a big, jolly guy. I live in a mystical, magical place full of elves, reindeer, snowmen, and of course, Mrs. Claus! I have been on the Internet for a long time. I have been reading your emails for a long time. I have been watching my Christmas web cams seeing who is naughty or nice for a long time. Ho! Ho! Ho! I guess I have just been around for a very, VERY, long time! And now I can say I have been writing my Christmas Blog for a long time too! So, welcome to “The Santa Claus Christmas Blog”. I hope you have fun reading about me, Santa Claus, and all my friends and family at the North Pole. I am looking forward to sharing some of my special secrets with you. (You promise not to tell anyone, right?). 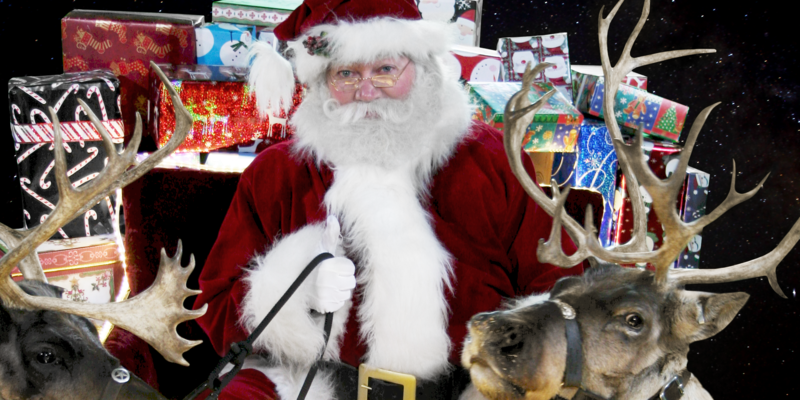 I have lots of silly and funny stories to share with you on the Santa Claus Christmas Blog. After all, I have been around for a long time. I have had lots of silly, funny adventures! I’m really excited about something new on my emailSanta.com website too. The elves set up a North Pole webcam so YOU can watch ME now! I hope you’ll check it out. You could also say I know a bit about Christmas and the Christmas Spirit. The Christmas Spirit is a wonderful thing. More than anything, my hope and wish is that my blog will fill you with the magic, love and wonder of the Christmas Spirit. That is one of the best presents I could ever deliver, even if it was only in a Yule blog! Ho! Ho! Ho! P.S. Are you getting excited about Christmas? You can click here to tell me how excited you are about Christmas. Or, scroll down to see what others’ have written! P.P.S. If you would like to send a letter or your wish list to me, make sure you use email Santa so I can send a letter back to you! Thunder. Tumbler. 3ds games. Puppy. Girls. Names. Santa. 5970. Stacy. For christmas(even though i am a girl)can you please get me a WWE seth rollins action figure?That’s all I really want because I know you can’t get me everything.And more boys and girls need toys too if they were good,then they deserve it.XOXO LOVE YA. tehe santa did you know that i am your bigest fan ever.you are my hero because you send presants all around the world and you are relly nice and i relly hope i see you this chrismas and i hope you can leave me pichures of you so my brother will belive in you.oh yea santa do you know what i want for chrismas and do you know where i live?did you want to know why my mom put the tree so close to my room?well i dont know for sure but i think it is for me to here you say what would katherine like and if you bump the wall by acodent i can hear you tehe.well i got to find some carrots to make sure tyler my brother didnt eat all themso i have enogh about 24 small carrots and if not well i gess i will give them some cookies and water and you some cookies and milk with some chocolate kisses too. I cant wait its onlie 77 more sleeps till christmas. I am very exited of Christmas Eve! i’m really looking forward to christmas!! Dear santa hey what you doing you must be so busy making toys for the little chrilden miss you. p.s can i have the biggest the bestest pressy in the world. hey it’s me again i’m into bratz and barbies and earrings DEFINTLEY EARRINGS!!! sorry about that i’m just so excited about 2 months away caude on may the forth g2g gotta to go!! I WAS WONDERING IF YOU COULD GET ME A SISTER. ANY WAY, THANKS FOR THE PRESENTS LAST YEAR THEY WERE AWESOME. Hi Santa Elton has ben doing a good job helping us be better kids. I really hope you can bring everyone what they want. hey even though im nearly a teenager i still run out early and see what santa has brought me!! I LOVE CHRISTMAS ….SO I’M EXCITED !!!!!! u r the BEST SANTA!!!!! I love Christmas lots but most of I love you and all the elves and everyone. Please enjoy my mince pies and carrots I will put out on Christmas. I am so exited about Christmas, I cant wait till you come to my house. we hope that we can email you every day! :)it would be kool if we could give you cookies right now! we would put our awesome email adresses out, but we wouldn’t want some kid from china emailing us!! !+, we wouldn’t even understand what it says! ho! ha! he! go.so bye and merry christmas. hello santa what is christmas like in the north pole? how do your ranideers fly? how dose your sligh fly? has anyone seen you befor? how dose your magic dust work? dose ruldulphs nose actuly shine a red light? I love you and can’t for you to come to my house. my sister and brothers are so excited. Hi santa you told me to check out your blog so i am! My mom is at the docters with my sister cady mock. She is not feeling good so can you wish her the best of luck? Hi Santa. How are you? I hope good. Hi im kylie I wounder what it would be like to be you!!! how is your raindeers,also how are your elfs. I can’t wat 9 more dayshow mant raindeers do you have? is your hat really magic?I love you more then 200 times. I love you/christmas. is it fun to be hi in the sky. Santa have you ever taken someone to the North Pole because I was asking if you coud take me to the North Pole and when you come to my house wake me up and I was asking if you could take me to the North Pole so I could see the elevs and see you and could you take my family to the North Pole so we could see everything there? I am so exited about christmas and hope it comes sooner than it is meant to. im like so mexicited excpecily for the 18 when its my birthday! dear santa, I think that u are always the best! for all the good. & some are bad for just really for them a break so that feel really bad oky bye! hey its emma agin and I just love your alsome blog about life at the north pole!!!!! im so glad the blog is back!! Were so excited to see santa, alough we wont see him!!!! hard luck ay:-(!!! We hope santa bring us everything for christmas however im sure their are a lot of childeren that need things.. Thanks so much santa, & miss claus & the raindeers.. I am excited, Santa, now that you reminded me of the Santa Claus Christmas blog. I want to be an elf like your elfs it would be so cool to c u in real life but I cant wake up in the midle of the nigth andc u because than ull go and u wont have time to come back sooooooooooo ummmmmmmm ok i odnt know wat els b c u on the next message! my dog said hi I can tell by her bark because she was barking at u i think she wants to go around the world liike u shes only a pup shes 2 years old so seya! dear people pleas check santas safety tip to write a letter pleas dont put your lastname its very dangrouse this is a caution if u dont know what it means then to bad because i dont know eather o well sak your people next to u k? I hope you are feeling good on Christmas eve, and then Christmas day. You have lots of work to do Santa. I am really excited for Christmas. I think I have been good this year. I’am so excited and so energetic on christmas,I just wanted to start enjoying my christmas days with my parents or with my friends. Hi santa! Once I woke up on Christmas night and I heard slay bells and something walking on the roof, I think it was one of the reindeer! 12 DAYS TILL CHRISTMAS! EEEEEEE! P/S: I belive in evryone. (You, Mrs Claus, your elves, reindeer and anyone else.)! Agapimene mou ai vasili, ithela na sou po oti tin tetarti tha pao me to sxoleio mou na tragoudiso stin paramuthoupoli!!!! I love you and mrs claus and the elf. I wonder if you like pop i might leave you some. I have got you a lovely card. My kids are all grown up but we still make cookies every year. I have a 9year niece who I help take care of.So atless I still have one small child to see the light in her eyes christmas morning. I just love all the lights people have up. And how nice people get this time of year just wish they could stay that way.Thank you for all the joy you bring to children old and young. Merry Christmas Santa you rock!!!!!!!!! We love you!!!!! !!!!!!!! I saw you on the Polar Express Movie!!! and one of your elves are watching us at big school!!! my sister rhiannon says hi santa she wants a laptop for xmas i want to be a FAIRY! Sounds like poor rudolph has a cold and needs to stay home this year. Poor Guy hood Mrs. Claus can fix him up fast give him so hot spicy soup that will cure anything. A week from christmas can you believe it. I have gotten all my christmas shopping done for my family and still working on my friends presents and today there is a christmas party at the local Arc friendship club I help with wow where has the time gone! Santa will you make sure that next year you will leave me more presents that I will enjoy as I will be 26 years old in September of next year. I have been working on knitting and crocheting as I have finished all my swim team hats for Special Olympics and I am working 15 hours per week that should keep me out of trouble now santa I think you would be surprised how I have been working everyone loves me! Thank you Santa. I am sorry if I got a rotten potatoe. I will try to be good this year. Thank you for all the presents that you gave me and yes I am very excited for Christmas. I do want to hear more about Clumsy the ELf. Santa how old are you? I am 9 years old and I will be 10 two days after Christmas.I am in Primary 5 my teacher is the beatful Miss Low.Santa do you have any childen?Are you looking forward to Christmas?Santa when is the best time to put up your Charistmas Tree? I do also mean your elf’s,reindeer’s, snowman’s and Everyone eles! im so exited! i would like it now dont feget i pod. hi i’ve been nougty so sorry hope you forgive me. hope you have a nice travel to my house. dear santa i like your blog so mutch,it is very intresting blog for childran! i love you so mutch,i have smoll sister,her name is nino,she is 6 old, she to love you so mutch!she is saying:dear santa!i love you so mutch!happy marry christmas to you and happy new year to!i and mziko hope thet you will come in our house and you will give us gifts! i want phone.good_buy dear santa !!!!!!!!! I hope the elves can make all the toys! I almost forgot how is Rouldolth? I hope i get to see you on christmas eve. MERRY CHRISTMAS Ho Ho Ho Ho Ho Ho Ho Ho! dear santa.YoU SHOULD know who i am its me kyle. I have been counting down the days till christmas icant wait to get some of my gifts i been wanting please let me know if i need to remind you what i want this year goodnite i love you and mrs. claus. P.S. YOU KNOW IVE BEEN A GOOD KID. You have a very cool blog I like it sosososo much. BYE. Santa thank you for Christmas!!!! Hi Santa it is me anthony.I am singing a song about you in L.E.R. I know you were really nice, funny, and joyfull. I hope you can put me on the nice list this year please. Best wishes Anthony. How you doing you old man in the ice age. hi Santa how are you? I love Christmas! Hi thank you for emailing me back you are such a quick tipper!! What is your favorite football team. Mine is Auburn University Tigers. War Eagle!!! Santa, what football team do you like? My team Auburn Tigers are playing for the National Championship! I sure hope they win! Do you? Santa, Have you gotten to meet your new Elf, Ernie? He showed up at our house a couple of days ago. He is watching us to be sure we are good and reports to you each night. Please send me a email back. I am so excited about Christmas. I am really hoping I get an Ipod Touch. It seems like it is taking forever…Can you make the days go faster? Thank you Santa! Thank you for sending me the video and letter. Please send more if you have time. hi santa is it true rudolph plays xbox? santa you are my hero. i will do anthing for you. I am so ready for Christmas! I can’t wait for your arrival! I think i’ve been very nice this year but mabey you could check on that! I love this website because we can e-mail you and learn a little bit about you.. santa yourself! I’ve been counting down days in my assigment book till we get out of school and for christmas eve! hope to see you soon! Santa,And he Is a great person and he Is my Hero. I think that Santa Is a my Hero. YOUR BLOG IS COOL AND I WILL READ IT ALL. THANK YOU ALL FOR WHAT YOU DO FOR US. MERRY CHRISTMAS!! <3 <3(THESE ARE HEARTS FOR YOU, MRS CLAUS, AND FOR THE REST). I LOVE YOU ALL!! I have never read your blog before but it seems soooo cool and i will read it all. i also wanted to say i love you santa and carn’t wait for you to come too my house. I have got too go now so bye and love you tuns hannah. I was just remembered about my Letter that I sent you . hey Santa it’s Kasey again! You were talking about the “Grinch” earlier and right befoer i emailed you i watched “How the Grinch Stole Christmas” i really liked how good it turned out in the end. Tell EVERYONE inculding the reindeer to have a wonderful Christmas. Tell Ms.Claus MERRY CHRISTMAS. Goodbye Santa and thank you so much. Wait do you know what i look like? I an so exited for christmas!!!!!!!!!!!!!!! i am getting extremly worried about holly the christmas fairy she hasn’t been since november please tell me she is still coming. i really need her help i don’t have much money for some of the things i want to get her like a wolf calendar so please santa tell her how upset and worried i am about her and please tell her i need help again this year. please tell me you have told her or if she will at least help me agian this christmas. i love you and believe!!!! santa i love you so much and i so glad that your blog is back!!! i know i’m quite a big i’m almost 15 but i still believe in you and i still have a christmas spirit! smils on there faces.Even for babies.I have a babby couson named Lechiana.I cant wait to see her smile on her face. well thats all I have to say. I just ador Christmas! Even though I do recieve lots of presents, the best part is giving them to others. But, most of all, Santa, I am excited that you are going to come to my house. (only 20 more days)P.S. I absolutely LOVE you, Santa! Hi SaNtA My NaMe Is AsHlEy. I WaNt LOtS Of StUfF FoR ChRiStMaS, ThAnKs. I’m really excited for Christmas this year. I just my elf on the shelf.I really want a trip to sea world ,Ipod touch i also want a stamp year book please santa I really appreaciate all those gifts santa i love you santa. i`m very happy that Christmas is almost here what about you? Hi Santa Im very exited about Christmas this year.I hope I get some presents. p.s I know that you are real. Hey santa i am 10 years old and i am so exited for christmas because christmas means a lot to my family. santa can you bring me a girl elf tonight ps.light skin and blound hair? he will be only 10 months !!!!! p.p.s his name is Oliver. REALLY REALLY REALLY REALLY REALLY REALLY REALLY REALLY REALLY REALLY!!!!!! EXSITED EXSITED EXSITED EXSITED EXSITED TO GET LOTS AND LOTS AND LOTS AND LOTS AND LOTS AND LOTS AND LOTS OF PREASENTS!!!!!!!!!!!!!!!!!!!!!!!! O.M.G ITS ONLY 20 SLEEPS TILL CHRISTMAS DAY!!!!!!!!!!!!!!!!!!!!!!!!!!!!!!!!!!!!!! Santa send me a picture of you santa a real picture of you. I love this time of year. I cant wait for it every year I would wish for it, but it would only be july. please dont go down our chimney because it is blocked behind a wall. but we will leave you your magic invisible key in our mailbox for you. take it with you for next year. You are the best!Can you give me something! santa what are you up to. Step thru do you put pressents under the chrismas tree. Hi santa I am so glad I am writing on your blog. I can not wait till christmas It is so exiting I have already stated my advent calendar. I hope I get all my presents. Hi Santa Its Meg again ho ho ho i didnt know that san antonio is one of her favortie places! well im sorry you had to get rid of your other phone and your welcome for the treats and i have a dog silly i said a pillow pet thats a dog see its a stuffed animial dog thats also a pillow! santa what am i doing rite know. hay santa whos on the naughty list? I am sooooo anchus about christmas and all the gifts and suprizes!!!!!!!!!!! I got your e-mail Santa Ik wand a picture of your elefs. I got a elef on the shef he is wonderful I love the site. I think Santa is cool!!! !I like when Santa puts presents under my Christmas tree. hi santa i wanted to know how did u discover the north pole what were u doing? “MERRY CHRISTMAS to you too”, and Santa 1 more thing please let me be good every single day of my life because i am good every day and i am not begin naughty!! im very excited santa and even though im almost 12 i still believe in you!!!!! thanks again santa!!! please,please,please try to find me in mexico!! Santa, can I be your helper and be an elf to help you? I would really like that. I really want to be an elf. Please Santa can you get this message quick? santa i really want to see you. Can you come to my house on Sunday? I love your blog and i cant WAIT for christmas! And i am so happy that lucille is here! And by the way can you make a pink ripstick? I like you Santa Claus…. Your the best Santa I hope you have a nice christmas I will bye bye Santa. I am really really REALLY excited.Are you? I think it is wonderful that you make a Christmas blog. Have fun and I wish you a Merry Christmas. P.S Excuse the terrible punctuation and I almost forgot I got third for butterfly at the swimming Carnival yesterday. I am so exited about christmas I can hardly wait!!!! I have been very good. I am going to visit you at Bentleyville, Santa. I will be wearing a hot pink jacket. I will tell you what I want then. I love you, Santa. Bye! i hope your elves can make i pod touches cause there fantastic. Dear Santa I’m more excited than the hole universe!!! I am so excited for Christmas. i remember when you took a picture on my camera and hid my camera in the tree. I love all of your elves and you. 1. do you have an elf named peewee? 2. what is your youngest elves name? Hi Santa!!!! I love you sooo much! I can’t believe it is almost christmas!!! And on another website, I e-mailed you if you could send me a present right now on my front chest in my front hallway. How come I never got it? Thank you for that wonderful letter Santa. I was wanting a real chef and a real made for CHRISTMAS. But I probably wont git that for CHRISTMAS. Santa will you answer one question? Will I get a real chef and a real made for CHRISTMAS? I’m sooo excited and i really hope you are too. hi santa how you doing hows your wife and raindeers? hey santa, are you having a good time at the north pole? Where i live its realy snowy and the snow is up to my knees! i had a realy good time making a snowman its snowing again!!!! Hello Santa, I am wondering how your going in the northpole. I am not sure what I am going to get Im sure it will be good! Pps say hi to ms claus and the elves and reindeers for me! ILove Santa so much cause his Generous! Don’t you? I love you and your reindeers. I am very excited to see what you bring me for christmas. I have been very good. Hi Santa! I’m so excited about christmas this year!!!! Thank you very uch for all the other gifts these past years! Hope You be real careful on your ride this christmas eve and don’t eat to many cookies LOL! I wish I can help you on the sleigh.I wish I live in the north pole. Santa…I’m getting so excited for Christmas!!! I can’t wait to see what you bring me this year!! i’m sure you can always remember me i got an A+ on your nice list so hophily you can remember me. And can you remember me santa claus i got a B+ so we wanted to tell you have a merry christmas and try to have a break because you work very hard for everyone and so do the elves. Is it fun there at the north pole. Guess what SANTA we already have some of our christmas lights up isn’t that exciting i can’t wait till christmas i we are going to have a great time and so is the rest of my family. I cant wait till christmas ist soooo exiten !!!!! Hi Santa I am really excited for Christmas this year and you must be too, getting back on your sleigh again.Thank you so much for all the toys last year and the all the other years say hello to everyone in North Pole.! Please check out our blog because the kids have been writing about you and the elves. I am so excited about you coming to my house on Christmas Eve! I will make you favorite cookies again this year. The kids in my class have been working very hard. They all deserve an extra gift. They are wondering about the elves, and where they can find them. Please ask the elves to introduce themselves. I will talk to you later! Can you find a job for mommy? I want a bike too but mommy needs a job more. Thanks I love you. Hi Santa I am So exited for christmas!My friend Kimmy has a shelf elf and last night at dance it was watching me to make sure I was beig good it was cool! can we write back to you again now. you are also the best person in the world.i hope you can get me lots of interesting things . HI SANTA WHAT ARE YOU DOING TODAY AND SAY HI TO EVERY BODY I SAID HI. I got your reply to my letter, thank you!! I don’t mind if you eat some of the veggies i sent for the reindeer!! You should eat veggies because they are good for you!! I’m getting very excited as Christmas gets closer!! I hope I get a real kitten but we already have a big dog so I don’t think I will get one. Oh well, maybe next year!!! Heyy.i just think Santa is coool for makin a blog!! I am really exitied I love christmas it is my favorite Holiday! its me again.how have you been? i love cranberry apple juice do you? do you love me?how are the elves? I am soooo excited for Christmas!! Cant wait!!! hi santa im getting really happy can’t wait into christmas and thats one of my favort time of year to and i was wondering if i could saty up to see you and the reindeer?and i will leave milk and cookies and carrots for the reindeer. I am sooo excited about ChristmassS ! i reckon that you sould get as many presents as hand out. My Christmas deco’s are up now put them up today :¬) I love them. im sooo excited for christmas day because its my birthday. PS:I am leaving you lots of carrots for all your reindeers and my grandpa made a cake for you ! hi my name is lauren smith i love your blog thank for inviting me to your blog i have had fun reading it is the best blog ever. To Santa I love you I wot anything for chrstmas from Trearnna or Tre love you Sante hesp and I really want a bratz big car of a playing car fo because I broke the steering wheel off so I wont another one lots for things for christmas love you sante I have a beer for you and a home made cookies I hope you like my home made cookies love you Santa. I love you Santa Claus and you rock the jingle bells. Hi Santa, its me Richard 🙂 How are you doing??? Thank you for inviting me to read your blog!! How are all the Reindeer doing???? I am sooooo excited for Christmas!!!! Thank you for giving out toys every year! Thank you for that note tonight when I sent in my list. I love you Santa Claus! I am veryyyy exited !!!!!!!!! I am really excited for Christmas because I can’t wait for my gifts, and you to come to my house with your reindeer. i have been so excited we all ready have the christmas tree up. theres even presents under there.i am so exited.i cant wait to see you. Hi Santa!!!!!!! I am really looking forward to Christmas this year, I really hope I get the book I wanted, anything by Judy Bloom is okay. I love her books!!!! Our Christmas tree is already up but it is a little short and lopsided. Oh well it will do. I know i will be asleep when you stop by so tell all the reindeer i said hi, 🙂 I have a lot of wishes this year but i really want a frosty the snowman, I love them, they are so cute!!!! My sister Shelby said hi!!!!! She is older and is really busy so she told me to say hi for her. See you soon, bye. I can’t wait for Christmas. Make sure your elves can make a spinning electronic lightsaber and a toy rifle please. Make sure you know where I live since I moved! Can you maybe leave me a note too because I will leave you a note. hey santa!!!!!!!!! i will be leaving u a note!!! and please leave one back!!D! I am so excited about christmas I can hardly wait!!! you are soooo amazing and i can’t believe you give presents to everyone in the whole wide world!!! I’m so excited cause i love all the parades and decorating the house and tree! i also love listening to christmas carols. we always put a angel at the top of the christmas tree!!! It is a tradistion!you are the best person in the whole wide world!! Dear santa; I am so exited for christmas I hope I hear you come down the chimny, well of coarse the fire place is a gass fire place and we will probobly already have it on! so you should take the frount door or evan the back door! OH!! OH!! or evan the mouse door OH!! OH!! wait a minute….. i forgot to tell you that i…… made you cookies!!!!!!!! oh and don’t eat to many or you won’t be able to fit through the mouse door of coure it’s only 1 by 2 inches!! oh and lay off the chocolate milk your going to get a big tummy ach!! that would be sad!! :( any way you have a merry christmas.BYE!! Hey Santa, I will ALWAYS belive in you. I am really excited about christmas infact I just put Candy Canes on the Tree THANK YOU. You do not know how excited I am, im ready for another break even though we just got back! I WOULD LOVE TO HAVE A IPOD TOUCH FOR CHRISTMAS! And a laptop for me and my mom! I HOPE MY ELF IS HERE TODAY! santa I am so exited! please come to my house first and please leave me a note! Santa, I just sent you a letter and you sent me one back. Thank you so very much. I really appreicate it too. What I want to let you know also is that my birthday is December 31st. So I am looking forward to both Christmas and my birthday. I am so excited, I love Christmas, My Mom Says I am the best girl ever. Hello santa this is a question, when you got Rudolph how did you feel? P:S have a lovley christmas everybody!!! i am so exicted and can’t wait i know i was realy good. heyy santa i am 10 years old and i hope you are coping with all the other peoples lettersi hope they wern’t as long as mine was. i live in redruth cornwall, ihave lots of people in my family that will want presents from you! I AM REALLY EXITED FOR CHRISTMAS SANTA !!!!!!!!!!! !!!!!!!! Santa there is this girl at my class and her name is Chloe and she is really mean to me what should I do? Keyta, I am so glad you told me you are being bullied. Remember, it is not your fault. You do not deserve to be bullied. You can also call some people who can help you. They are really good at helping to stop the bullies. thanks so much for all the presents you give me! i can not wait till christmas. i hope you can make another awesome christmas! i am sorry for what my older sister sent you. it was a mistake and a fat lie. i think she should go on the naughty list! i am staying up on christmas eve night so i can see you for the first time and your reindeer. my favorite reindeer is rouldoff. i would like to talk to you longer but it is a school night and my mommy wont let me stay up. sleep well santa and ill see you on christmas. santa my friend and her mom got sick last chriatmas.so they had chritmas in bed. :( I hope I don’t get sick on christmas!least her sister,brother,and dad were not sick. I can not wait untill chrishtmas morning! I like you Santa. Have a happy and Merry Christmas Santa!!!! HI SANTA! I LOVE YOU. SANTA LOVES ME. IM MARLEE I HOPE WHEN YOU COME FOR CHRISTMAS YOU BRING ME WHAT I WANT. AND WHEN YOU COME EVERYBODY WILL BE SLEEPING IN MY HOUSE. YOU LOVE EVERYBODY AND YOU LOVE ALL THE REINDEERS THAT FLY. AND THEY ARE MAGIC WHEN THEY RUN. THANKS FOR YOUR PRESENTS LAST YEAR. BECAUSE WE GOT TO RIP THEM OPEN ALL OVER THE HOUSE! YOU LOVE ME AND I LOVE YOU! (: I HOPE YOU HAD A NICE WEEKEND WITH YOUR REINDEER AND MRS. CLAUS. GOODNIGHT AND I CANT WAIT TILL YOU COME! Hey santa you are so cool!and thank you for my parsents last year!love Katie! I can’t wait for Christmas!! When you are there it always makes it special! Please tell Mrs.Claus, the elves, the reindeer, and of course you how great of a job you all do! Have a wonderful Christmas! p.s gotta say again the snow O.M.G LEAFLY !!!!!!!! i believe in you. you are my faviorite person. Is the naughty kid in my neigherhood named Hunter? I love you Santa thanks for the toys you give me! hi santa!I can’t waIT FOR CHRISTMAS!you rock santa! i am sooo excited………your the best thi9ng that ever happened…ecspiclly to thoes kids that cant afford a good christmas. You are the person that makes it all happen. I am going to makke you extra special cookies this year. i like your blog santy claus! Hello Santa , I will be in Ireland for Christmas and I don’t have internet because it’s our holiday home. If I am out on Christmas eve in a hotel I will do my best to send you an email. I begged my mum and dad to put the Christmas tree up and result they said yes so my Christmas tree is up ho!ho!ho! i am so exited santa!! i just can’t wait!!!!! will it come fast? I wanted to tell you I am very excited about Christmas. I know we already talked through the computer but I would like to also receive a letter from you in the mail. I have a little baby brother also but he is only 3 months old and a very good boy. If you could also send him a letter in the mail we will be looking for them. Merry Christmas Santa my brother and I love you very much! I am like 99% excited because i hawe a REALLY,REALLY,REALLY good feeling about getting abercrombie clothes,i pod nano,i pod touch,wii,dsi and some other WONDERFUL GIFTS YOU GET ME! How old are you?? I would like to know what it is like living in the north pole,how cold is is there.I have never heard you on my roof and I will probably wont. hi! I hope that you dont forget me! and also my brothers and sisters and mom and dad and also my doggies Oh and my grandparents. Thank!! I am so excited that i put my Christmas tree in September. I’ve been listing to Christmas music everyday! I have candles EVERYWHERE that smell like Christmas trees. Hi Santa!!!!! You are soooooo nice!!!! I think you are really cool too!!! I can’t wait until Christmas!!!! AAAGGHHH !!! I cant believe that it is so close to christmas !!!!!! The year has flown over as did the years long before now. I hope you have a very merry christmas. Hi Santa.It is my first time on this web site.How are things going?Hows Rudulf? i am so glad you started this blog its really cool and im really exited that its nearly Christmas , ever since November started i wanted to put all the Christmas decorations all over my house. i’m very excited for christmas it was my favorite hollowday of the year the world is fill with laughter and happyness all around. i hop mr. and mrs. clouse is feel great for the upcoming hollday. ps what kind of milk do you like?? and drop all my presents off I love you so much your such a jolly person. I wont forget to put my cookies and milk and carrots out for you and rudolph! Hello Santa! Its me again. I carn’t wait til christmas, i’m so excited, i LOVE christmas! it is the best time of the year! ILOVEYOU! please bring me everything i asked for, and i will be very grateful. Thanks for listening to me, Goodbye! Have a nice day everyone . I have a joke for you.Knock,knock who is there merry… merry.. who merry christmas! I am very very excited. Remember the true spirit of Christmas, not the presents, but being woth friends and family, and having a good time. MERRY CHRISTMAS EVERYONE!!!!! I have sent you aletter that i have written to you my self by hand adn a pen and i sent it to you. abotu 2 weeks ago and i hope you looked in the4 back of the envolope because thats where the write back part is. hey me agian the chick! just to let you know my mum and dad have split up as you may well know so i will have to do two letters for christmas. Anyway me and my mum moved out of my house 12 barford road so please do send my presents to my grandads or my appartment in york. good luck with making and wrapping the presants dudeoo ! Hardwork init. How many presents to go millions i guess? i am so happy for Christmas eve. Hello santa i e-mailed you and u put on ur letter when u wrote back to me i really want you to visit my christmas blog and i have just did! 😀 and i saw wat other people have put i am SOOOOOO excited for christmas day its only 28 more sleeps lots of love from skye and by the way my little brother says hi! Dear Santa Christmas is one of my favorite holidays. Even though on christmas day its jesus birthday, Since mostly everyone gets gifts waiting for them under their tree it feels like that its everyone’s birthday. hi!!!!! my name is cassandra and im 14. my little sister is vanessa she is 8. well we are both excited for christmas. we are counting down the days hours minutes and seconds. cant wait. love you santa. tell everyone we said hiiii!!!! I really doing good. Are you proud of me? Hi santa as u know this is fransheska!how are the reindeers doing?i am happy that christmas is write at the corner and can’t wait to see on christmas eve one of the presents u have send me.i love you santa.ho ho ho ho ho ho! P.S:the reason i am asking for presents from you is that i live with my grandma and she is handikapped and it is hard for her to travel around to get me presents. Hello Santa and elves i love you so much and i cant wait till Christmas! santa is the best guy i know he is funny,nice,and loves cookies like us!!!! !i sure love santa probly more than anybody him and god are my faves i sure hope santa dont get hurt going to every house in the world. I LOVE SANTA!!! !i have so many commets about santa but i cant tell them all a few days ago i turned something in to the school about santa calling me!! santa is so wouderful im crazy about santa!!!!!!!! … !!!!!!!!!! I am so excited about Christmas. I put my own tree up today with a little house for you, Mrs. Claus, the elves, and the raindeer under the tree. I love you! I cannot wait until the wonderful celebration. merry christmas santa,and i hope you visit my home in La Paz. Eyy…..I love having christmas wih my family but i dont know if any1 of my grandparents are comin down as they live at least 5 hours away from us. but i still have my mum dad and my brother. :D and of course my friends. Are all the movies about the North Pole true? Does it really look like it does in the movies? hi santa im so happy on finding ur blog..wish u and all the family n the north pole a merry xmas. let me sing a Mexican Song. Hello i love you elves and raindeers and santa culas mrs.cluse that is all i wanted to tell you that because i know you were chkeing so i wanted to say that ok bye ooooo i am 9 years old almost 10 years oldi am francesca toso ok bye thank you love you byebye!!!!! hey santa thank u and thank your elves 4 making all those wonderful presents! Santa I love you! Yor reindeer are THE BEST AND wonderful reindeer in the UNIVERSE! THANKYOU FOR ALL THE TOYS YOU GIVE TO ME! I LOVE YOU GUYS! i santa you are amizing i love you so much sorry if there wont be much cookies i might eat them but i will put more for you love you all i want for chris mas is a phone its is a cosmic and with a zebra case and thats not all i wish i could tell you all of them but i might not have a noth to fit all of them well see ya later cant wait till looking forward to see the presents under the tree i love you bye!!!!!!! Please bring me a baby sister please and thank you!!!!! Hey Santa, when you come to my house i want to ride your sleigh and tell my parents to ride it with me. Cant wait to see you and Roudolhp. Im going to leave you some milk and cookies. And some reindear cookies. I want to see Rudoplh and pet him behind his ears. Hi Santa, I just got an A plus on the naughty or nice meter.Yeah!! I hope things are going smooth with the Zhu Zhu pets now. I can’t believe they were all running around the North Pole. Is Elfy at our house? I hope so, I missed that little Elf. For your Safty tip, why can,t you type anything about yourself? P.S Kieran is walking alot of steps.Once he walked 50 steps in a row! Believe me he did it all around the kitchen! santa I didn,t mean to say that. Please Write Back Madison G.
hey everyone im glad im talking on santas blog because he is the best he gives us presents and stuff im glad i believe in santa…. yes only 29 days to christmas o.m.e.!! i have a small CHRISTMAS TREE in my bed room. i can not for christmas.it will be so much FUN! I am so so so so so so so so so so eggsited [get it eggsited for eggnog]for Cristmas to come! yipee geting closer. P.S. my two brothers,Kyle and Jared Young, both deserve great gifts too! santa I’m excited about Christmas because i’m going to recieve many gifts.But not only because of the gifts but because of christ’s birth.MERRY CHRISTMAS! I love all of the things you do.I am so glad that your alive.I hope that you have a TERRIFIC Cristmas.I love you so much. by the tree well got2go bye. wow santa nice coments on cristmis lots of hugs and kisses for you all at the north pole! All of the Elves in Z-ville are excited for the big night! We are getting are Christmas lists together and i am wrapping many a present this year! I am excited for Christmas Eve and day. My pop-pop would like a puppy for Christmas! A black lab with a white belly! i just want to say hi can you come over now please. Did you have a nice Thanksgiving? I carnt wait till christmas!!!!!!!!! I love Christmas time it is a nice and cheerful time. I am soooo exited for CHRISTMAS!!!!!! i love this blog it is great i only found it about an hour ago and i love it my fingers are sore from tyeing but i dont care this blog is just to wonderful. hi santa christmas is nearly here i can’t wait i’m so exited one month to wait how will i manege to wait so long. i bet your very busy. we cant wait for christmas love ya santa! thanks for my letter! I’ll leave lots of cookies and milk in my favorite glass! Dear Santa, i am sooooo excited for Christmas. It is my favorite time of year also! This is the best time of year to share love and joy! I AM SOO EXCITED SANTA!! I’m very very very excited about christmas I cannot wait to see what you bring me Keylie and Anthony. I just want you to know that I never stopped believing in you. Ever since I was a little girl, I made that promise to myself that I would always believe in you, no matter how old I am. I also never stopped believing in your reindeer, elves, of Mrs.Claus for that matter. I just thought that I would let you know that. Take care Santa, and I can’t wait to see what you will bring bring for Christmas. OK SO, I’M REALLY EXCITED! BUT NOT FOR THE 26TH BECAUSE I WILL HAVE TO WAIT ANOTHER 365 DAYS. I CAN’T HANDLE THAT. I CAN’T WAIT FOR THE 24TH. I GO TO MY GRANDMA’S. BUT I THINK YOU ALREADY KNOW THAT. I am soooo excited about Christmas! I love how it seems like everyone becomes nicer at a great time to celebrate God, which should really be all the time! Time flies by really fast! was up dude with the red trim(red is in this year not that I would know I always wear black)? I good. You know Im so pumped 4 xmas!!!! So r all my peeps!!!! Wish i couls say more but i gotta get offa my thin ice. peace peoples!!! I love evrey thing you do.Excspecialy leaving presents under the tree and you giving all the nice kids kindness and love. P.S I do not have a chimney.So how do you get inside my house? I want to tell you how I can’t wait till its Christmas Eve and Christmas Day. I am excited as “HECK! !” I can’t wait for you to come vistit my house and then in the morning I can see if you really came to my house or not because, first ofvol there will be no cookies or milk left, and second ofvol there will be a bunch of presents on the bottom of the Christmas tree. Santa I love you so much and my family and I hope you such a wonderful Christmas snd have a save trip around the world on christmas Eve. I am so excited about christmas and all of the presents, and i am so excited you get to deliver them! I love you Santa! I am so psyched that Christ mas is coming! You Rock, Santa!! I promise to put Christ music on the present you are getting me ( I bet you know what I mean(wink!))! I am SO happy Christmas is here!!!! On Christmas Eve, I am leaving extra cookies for Santa and Reindeer food and automatic elf relaxer lotion to help you elves relax. Wishing everyone a very merry Christmas. hi santa i just wanted you to know that i love chocolate cookies and nice fresh milk that what im giving you for a treat. i hope you have a majicle and wonderful christmas and am i on the nice list or the noty list. please say the nice list iv tried to be a nice girl and i have ben.i am so exsited for christmas to come. i have that wonderful christmas joy in me.im going to give the raindeer sellery and apples and carrots you can have some to love always abbie doodles. I am writing this with my little cousin next to me. We are both very excited about Christmas. We hope you are enjoying you Thanksgiving and watching the Saint’s game. your blog is AWSOME! maybe you know a friend of mine? his name is Yhjhuhilhijj. he told me he was on the naghty list and his grade was stinker yeah, and he’s still at home crying. well bye anyway. Hey Santa do you ever brush your teeth? But I’m excited for Christmas!!!!!!!!!! to get are christmas tree next week! i am so happy i will get to see my faimly on chritmas and i hope i am going to get twety prestens for chritmas. i’m so exided every Christmas i do a count down until CHRISTMAS! I am real glad your Blog is back I was very sad to hear that your Blog had been hacked into by a bad man? !.Well I am almost as exited about Christmas as most boys and girls are in the world.Congratulations to SANTA CLAUS! i HOPE i get a new camera (PINK) , American girl look alike , American girl doctor set 🙂 please i,ve been goood !!! Hey Santa!Why do cats say meow? Because their hurt!ME OW!It is like me ow! Get it? Get it?Santa ya like jokes? Well here is one for ya! Where do polar bears keep their money? ………..In snowbanks! Ha! Wanna hear another one? K. How do you divide the sea in half? With a seasaw! i am so excited I allready want my elf! I am so excited Have you seen Miracle on 34th street? hi,santa and mrs.santa and friends how are you i just can’t wait for xmas and my puppy that you promised me for christmas. hi santa, i was just wondering…does mrs clause email anyone? Im so exited I bet I could bound right over to the north pole and land in your lap santa.Glad to hear it’s all going well can’t wait till christmas day im sooooo exited. I don’t mind if u have some of the reindeer food, that I left out. I hope you like the snacks that I leave for you on Christmas Eve! Thank you for everything you do. i am sooooooo excited for christmas,did you know that christmas is my real birthday? I can’t wait until Christmas Eve and Christmas Day I so excited. i hope clumsy dosen’t mess up my gifts. i also wanted to know what type of cookies you would like on christmas eve. that is a good job on that blog. Hi Santa I am sooo excited for Christmas and I’m so shocked that Christmas is exactly one month away. I love to go outside and play in the snow. I will talk to you soon. Hey ! I am so glad that christmas is here!I am ready to give my presents to my friends and family! I am so exited for christmas because i get to open all my presents that have been left under the christmas tree. And also it is my birthday three weeks before christmas. YAY! YAY! YAY! YAY! YAY!